Repair your favorite worn-out jeans in few basic and easy steps with these DIY Patch Jeans projects! 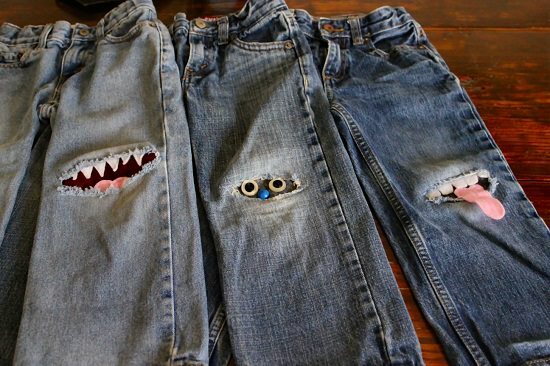 Follow these 17 DIY Jeans Patch Repair ideas to Give your Bottom a new and trendy look! If you just got your new jeans and got them damaged without using them much, try this DIY. 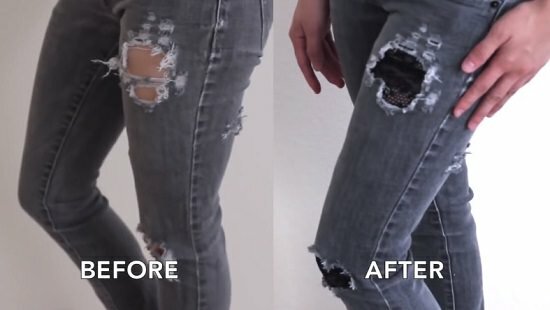 Repair the holes in your jeans to get a new in-fashion bottom! Design interesting and funny knee patches to your kid’s jeans to make their outfit look cool! Take the inspiration here. 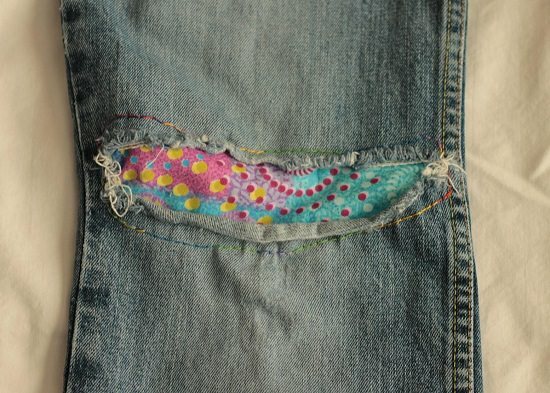 Repair holes in your denim with a sewing machine, a shade lighter thread, and your skills! Find the tutorial here. If you are crazy about lace patterns, this DIY is the thing for you! Hand-stitch lace to the jeans using thread. The details are here. Stitch adorable fabrics with patterns to jeans by following this DIY. It gives the usual jeans a trendy and attractive look! Let your kids express patriotism in a unique way by creating this flag jean patch! Here’s the idea. Do it for you or for your baby girl, this patched girls jeans idea is absolutely flattering! Get the information here. There are numerous jean patch ideas available for kids bottom and so is this one! Check the detailed article here. Use your little one’s favorite fabric and get doing this easy DIY patch jeans idea! Get the tutorial at Lily Quilt. Collect floral fabrics to complete this patch jean idea, it’s a great idea for pant jeans for pregnant women. For more information, click here. Use iron-on adhesive to do this patch idea, you can do it with any fabric! Flaunt your creative side with this tutorial. Here’s a simple and guide on how to repair your damaged jeans on your own at home! Click here. Here are 10 denim repair ideas by Apartment Therapy for you to follow. Most of these are absolutely stylish and trendy! If sewing is not your thing, you can patch the jeans using an iron too using iron-on patches! You can buy iron-on patches from any craft store! We found the idea here. Use an iron to repair your favorite threadbare jeans before throwing them out! Get the tutorial here. One more denim patch repair DIY using lace to follow. Lace gives that exceptional look to your jeans! Make your skinny jeans more fashionable with this ripped jeans idea! The directions are here.